There are many options for commercial storage. However, when you are looking to save valuable floor space and simplify your transportation and distribution efforts, our palletized storage services are an excellent choice. With our palletized storage solutions, you can quickly react to fluctuations in your storage requirements without taking on the additional fixed costs associated of renting a warehouse. Your product is quickly inventoried and stored at one of our secure warehouses by Allstate’s team of experts. Allstate offers four locations in Los Angeles, Ventura, Oceanside and San Diego, California. We have over 280,000 square feet of warehouse space, providing the commercial and industrial storage space you need to grow your business. At every location, the security of your product is always a top concern. Our warehouses are all located in convenient locations and have security features in place to assure your products are safe from the elements, fire and theft. We understand that your business never stops, so we ensure that you will always have access to your live inventory. We offer an online web portal to our WMS (warehouse management system) where you can view your inventory, place orders, schedule pick-up’s or deliveries and run customized reporting to ensure your stock always remains visible and accessible. We know that your business is unique. Our services are unique too and can be customized to fit your needs storage needs. With our palletized storage, you will only pay for the space you occupy. This means scaling up or down is never a problem. Our rates are simple, straightforward are there are never any hidden fees. If you need warehouse space elsewhere, or require 3rd party logistics, we can help with that too. Allstate is an agent for United Van Lines and Unigroup Logistics, providing access to a network of over 56 million square feet of storage space at 1400 locations around the world. Our networked warehouses are equipped handle any commercial storage needs. For over 50 years, Allstate Moving Company has served Southern California with a variety of moving, storage and warehousing services. 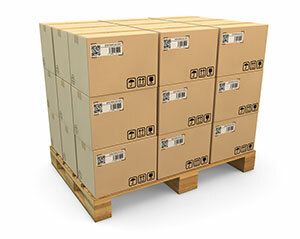 Our palletized storage services are well-respected among commercial and industrial clients throughout the state. Learn more about out how Allstate Moving Systems can help you grow your business and maximize your storage potential with palletized storage or our other warehousing and distribution services. Call us toll free at 800-331-4349 or request a quote through our online form.